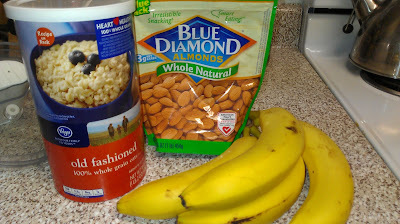 I have been trying hard to eat a lot healthier, what with being pregnant and all. Lately, I've trying even harder to eat healthy in an attempt to keep this lovely swelling in my hands and feet down. It has been helping, but when you're a carboholic, it's hard. I just love me some baked goods and breads...and breakfast treats like pancakes. Especially on a Saturday morning, I just crave a good pancake. I think this stems from growing up, when every Saturday morning my dad would make a huge breakfast of pancakes, eggs, hashbrowns, bacon, etc. 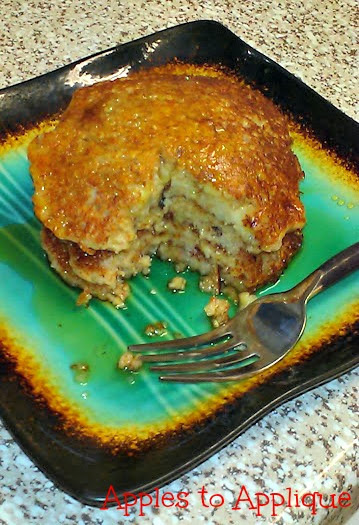 This recipe really took care of my pancake craving this morning, and I didn't have to feel guilty about eating it! But let me start this recipe with a little disclaimer, which is that these are not quite as tasty as good ol' white flour pancakes, but they are pretty dang good. They have more texture than a traditional pancake--they're nuttier, which I enjoyed. My husband actually liked them a lot, too, so that was a plus. Another great thing about these pancakes is that they can be made completely gluten-free! If that's what you're going for, just be sure to buy gluten-free oats and baking powder. There aren't any gluten sensitivities in my household, so the ingredients pictured here are not necessarily gluten-free. Now, without further ado, the recipe. 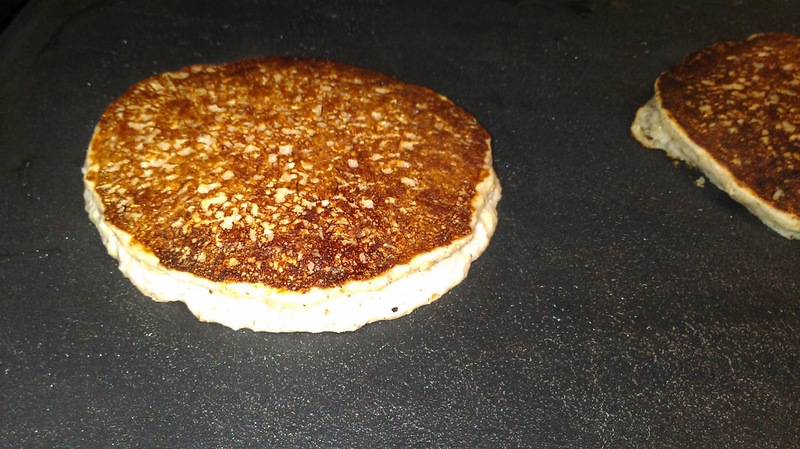 Preheat a skillet or griddle on medium heat. I put my electric griddle on 350 degrees. Put almonds into a food processor. 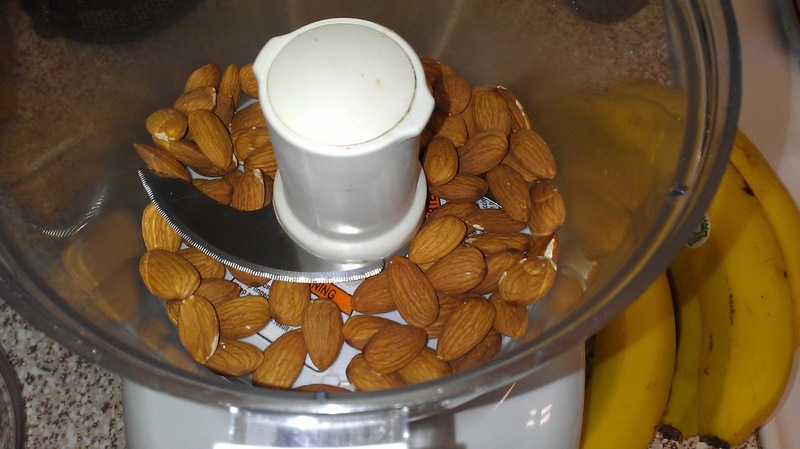 Turn the processor on until the almonds resemble a flour. 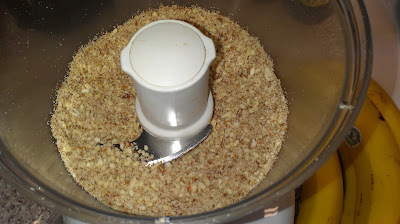 Do not keep processing beyond this point, or you may end up with almond butter, which, while delicious, is not the goal here. Add the oatmeal to the almonds. 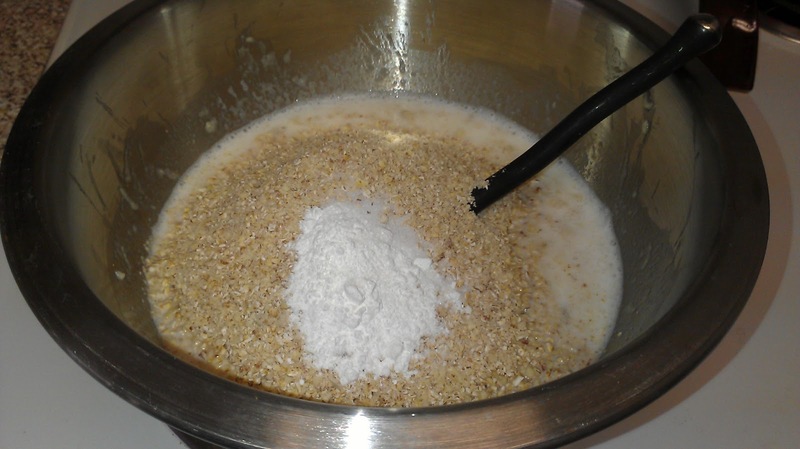 Process until the whole mixture is a relatively fine flour. 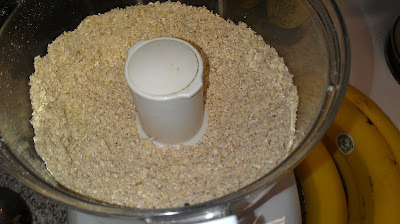 It will still have more texture than regular flour, which is fine. 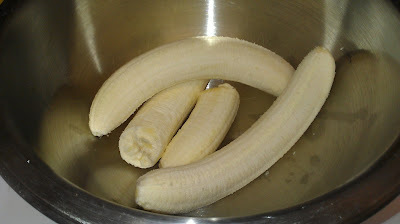 Put the bananas in a medium-sized mixing bowl. Mash using a pastry blender or a fork. 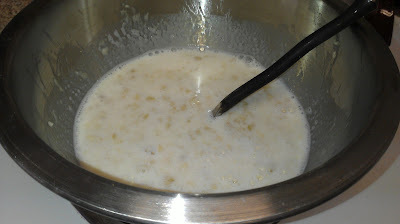 Add the milk to the mashed bananas and stir. Add the almond and oat flour to the banana mixture, along with the baking powder and salt. Mix well. You should have a batter that is not too thick, not too thin. 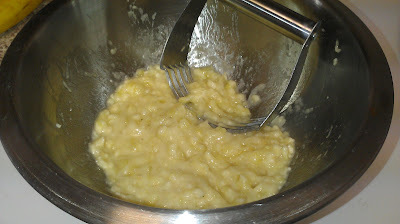 If you would prefer a thinner batter, add more milk a couple tablespoons at a time. Spray some cooking spray on the griddle or use a small amount of oil. 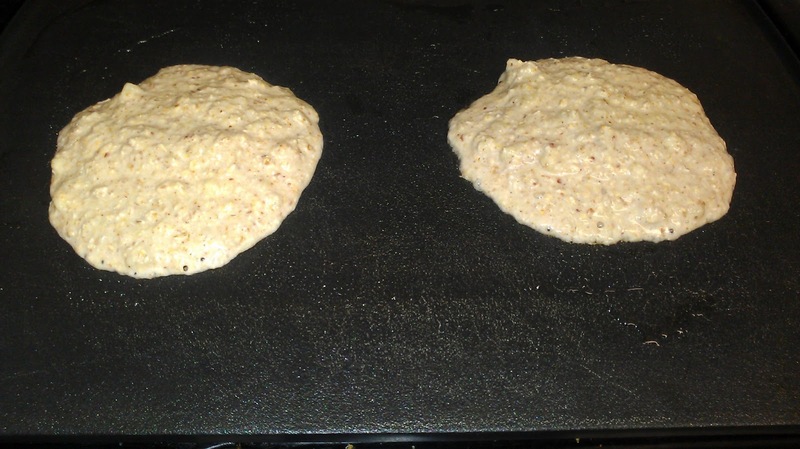 Pour batter on griddle about 1/2 C at a time. 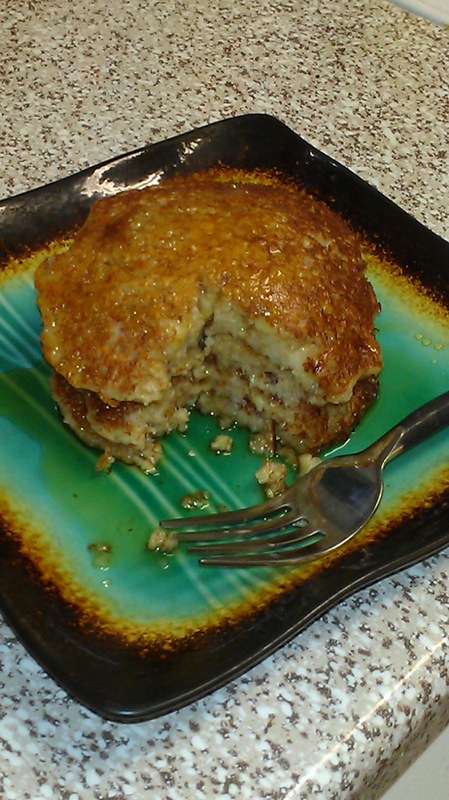 These pancakes do not bubble up like regular pancakes do, so check them after a few minutes. 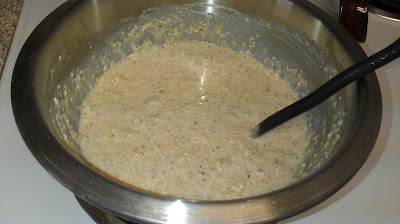 They start to look a little brown around the edges when they are ready to flip. When ready, flip the pancakes over and cook for a few more minutes. When the second side is done, remove from the griddle. 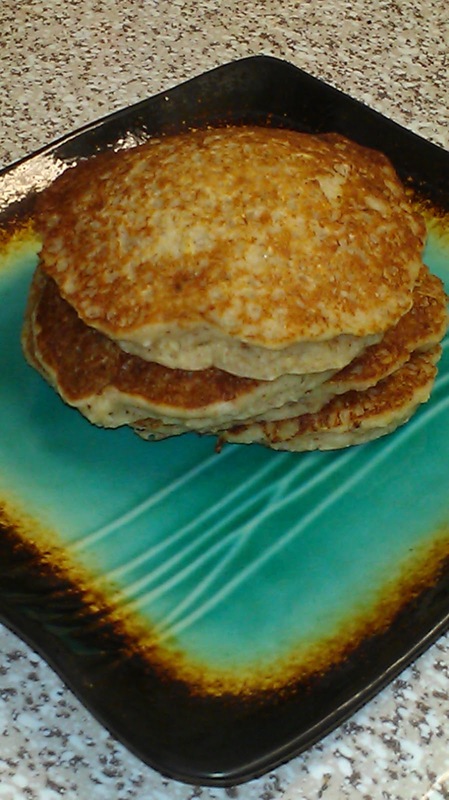 Serve with pure maple syrup and enjoy your delicious (and healthy) pancakes! If you don't have any bananas that are ripe enough, here is another variation you can try. 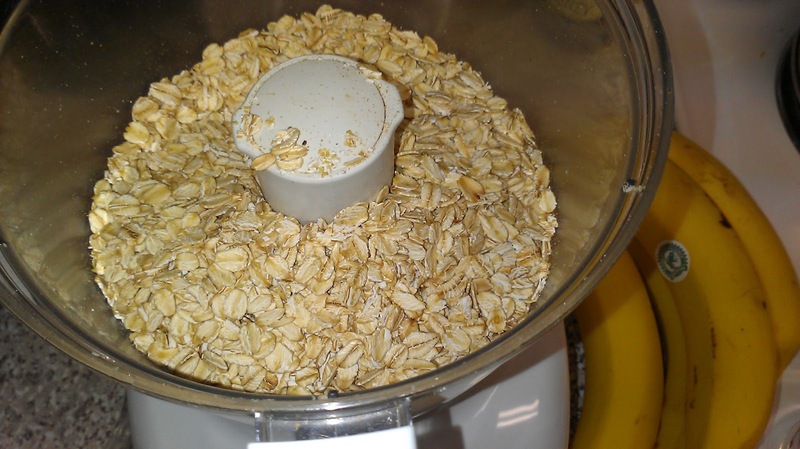 Instead of the banana, add 1/2 Cup unsweetened applesauce and 1/4 Cup Greek yogurt. Cut the milk down to 1 Cup. For this variation, I like to add a teaspoon of Cinnamon. Some chunks of apples would be good in this, as well.